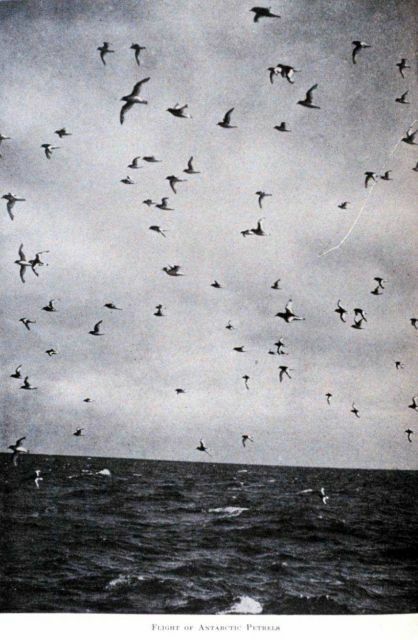 AllRefer.com > Pictures & Images > "Flight of Antarctic Petrels"
“Flight of Antarctic Petrels”. In: “The Heart of the Antarctic”, Volume I, by E. H. Shackleton, 1909. P. 65. Library Call Number G149 S52.